It would be easy to zip quickly through a writing conference about a vacation story, especially one about a trip to Disney. In this video, Franki Sibberson slows down with Ben to explore how he is meeting his goal of adding descriptive language to writing, using digital tools to assist. Franki Sibberson leads a minilesson in her fifth-grade classroom to help students design their own lessons. 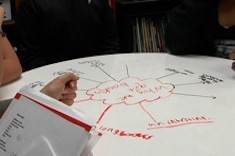 Students also assess what goes into a high-quality minilesson. 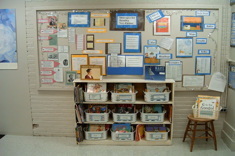 Students can claim who they are as readers and writers by designing and presenting minilessons to their peers. 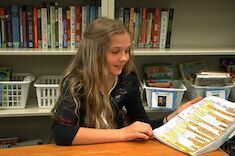 In this week’s video, fifth grader Reagan from Franki Sibberson’s classroom presents a lesson on annotating reading with sticky notes. Franki Sibberson shares how she integrates student choice and collaboration into reading response during daily read alouds. 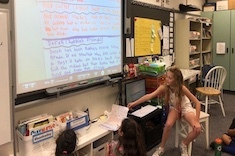 Fifth-grade writers in Franki Sibberson’s classroom encourage each other and suggest revisions to their opinion writing drafts in partner teams. 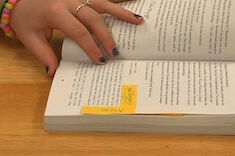 Franki Sibberson finds teaching students to annotate while reading is one of the best ways to promote ongoing reflective response in her fifth-grade classroom. She shares how she starts teaching annotation skills early in the year. Franki Sibberson explains how she watches students closely and adjusts her library based on what she sees all year long. 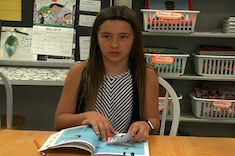 Reagan, a fifth grader in Franki Sibberson's class, explains how she uses sticky notes to flag examples of writer's craft she could use in her own writing. 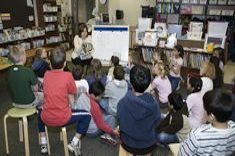 Franki Sibberson shares strategies for incorporating more nonfiction into read-aloud times throughout the day. Franki Sibberson finds the investment of five to seven minutes a day for #bookaday with her third graders is truly time well spent. Franki Sibberson shares a lesson progression to help students learn how to give helpful revision feedback. She uses online videos and resources to support her work. 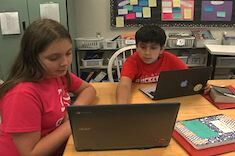 Franki Sibberson uses a micro-progression of her own draft of a blog post to help her third graders improve their blogging skills. Jennifer Schwanke and Franki Sibberson share four perspectives on student-led conferences — teacher, principal, student, and parent. Franki Sibberson explains why we need to move beyond our cherished definitions of quality when working with third graders in transition and embrace the books students love. Franki Sibberson shares a teacher's perspective on why even the most experienced teachers can benefit from having a coach as a mentor. Franki Sibberson shares some of her favorite nonfiction books with more than one entry point. 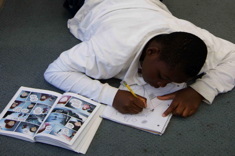 Beyond Explicit Instruction: What Do Struggling Readers Need? Franki Sibberson explores the varied needs of young readers and writers. Franki Sibberson explains how scheduling big events can do important work in building the reading community. Franki Sibberson explains how longer conferences early in the year pay dividends all year long. Are you ready to ditch your reading logs? Not so fast. Franki Sibberson explains why she still uses them in her third-grade classroom. Franki Sibberson has suggestions for moving to more digital response options with students. Franki Sibberson finds an “I Used to and Now I” format helps her third-grade students understand how technology is changing reading habits. Franki Sibberson designs a lesson cycle to prepare students for summer reading. 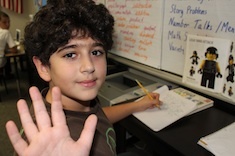 Franki Sibberson confers with fourth grader Yuki to expand his reading options into more complex series and mysteries. 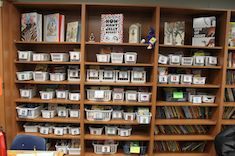 Franki Sibberson concludes her series on redesigning nonfiction sections of classroom libraries in the age of the Common Core. 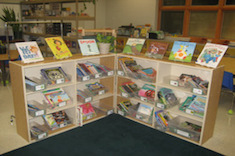 Franki Sibberson explains how she features nonfiction series books in her classroom library. 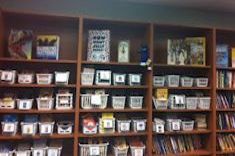 Franki Sibberson realizes she needs to highlight nonfiction authors in new ways in her classroom library. 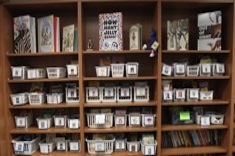 Franki Sibberson writes about how her thinking about nonfiction is changing her classroom library in this first installment of a four-part series. If you’ve ever used a Kindle Reader, you might be fascinated by the highlighted notes of other readers. Franki Sibberson uses those notes in a conference with Nicole. Franki Sibberson writes about how she chooses books for theme instruction and shares two lessons. 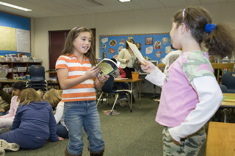 Franki Sibberson shares a range of books that include compelling female characters with a group of fourth-grade girls. 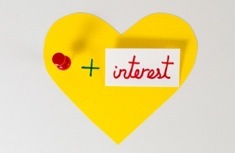 Franki Sibberson finds Pinterest is a useful tool for professional development. Franki Sibberson shares some tips and strategies with her fourth graders from the web for focusing and organizing their writing. Franki Sibberson’s dilemma? How to file every evaluation so it is organized and accessible (since she never knows when someone might ask for it), while still finding a way to keep the assessments she needs every day at her fingertips. 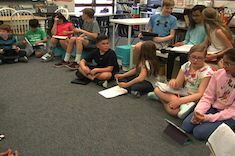 Franki Sibberson’s fourth graders use the whole-class writing share time to discuss writing series they are working on (including blog interviews and book reviews), with an eye toward collaborating with classmates. 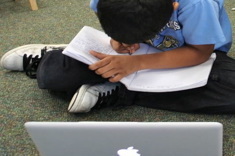 Franki Sibberson confers with Ben, a fourth-grade writer trying to figure out the best audience for his writing when technology presents many options. Franki Sibberson demonstrates how much ground can be covered in a three-minute conference with a student. 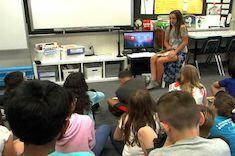 She helps fourth grader Pierce think through the audience for his writing, how to add visuals to blog posts, and enlists him to teach others new skills as he acquires them. Franki Sibberson uses an anchor chart to build community and awareness of technical strengths among her fourth graders. Franki Sibberson has her students read a blog post about books written for boys and girls, which begins a fascinating discussion with the class about gender in reading choices. 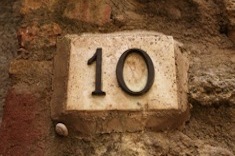 Franki Sibberson shares 10 principles for minilesson planning. This is an excerpt from her new book, The Joy of Planning. Franki Sibberson considers how the demands of the Common Core and the complex mix of online and offline nonfiction texts are changing the skills she teaches students. Franki Sibberson’s fourth-grade students share results from the weekly science challenge. 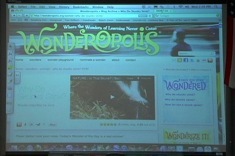 Franki Sibberson uses Wonderopolis with her 4th grade students, helping them learn to research and dig more deeply at the site. 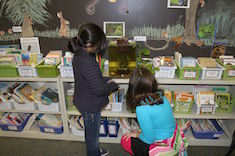 Franki Sibberson confers with fourth grader Anna to help her connect report writing with her love of animal lists. 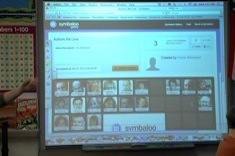 Franki Sibberson works with a group of students who want to create a collaborative blog of interviews. 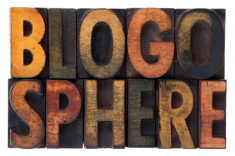 The discussion reveals some of the challenges of blog writing, including consistent posting and developing topics that might endure over time. Franki Sibberson's goal is to provide her students with more tools for previewing books independently and making wise selections. In this lesson, she makes full use of technology to set up sites and resources for students to browse at school or home. 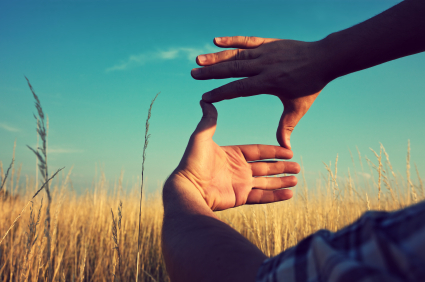 Franki Sibberson reflects on what makes a perfect salesperson . . . and literacy coach. 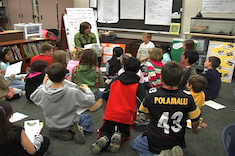 Franki Sibberson previews a read aloud with her grades 3 and 4 students. 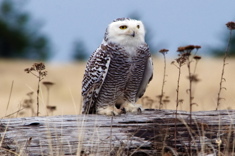 Renew older students' interest in fantasy and fairy tales with these suggestions of recent titles from Franki Sibberson. Personal narratives are an important part of the Common Core in 4th grade. 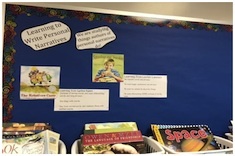 Franki Sibberson shares a booklist of some of her favorite mentor texts for teaching narratives in the intermediate grades. Franki Sibberson presents some delightful versions of classic tales perfect for read alouds with youngsters. Teachers are always on the hunt for something new, even as we cherish what works well year after year. Franki Sibberson lists the activities that have stood the test of time in her classroom. Franki Sibberson's latest Common Core booklist includes texts to help students master chronology in nonfiction. Franki Sibberson turns to museums for inspiration as she designs wall displays for the start of the school year. Franki Sibberson is on a quest to find the perfect first read aloud of the year, and the search helps her consider the goals and purpose of read alouds during the first days of school. Franki Sibberson helps a 1st grade teacher select read alouds for her class in this installment of Book Matchmaker. 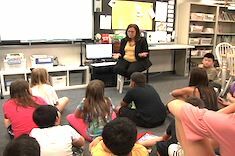 In this video tour, Franki Sibberson narrates a description of the grades 3&4 multiage classroom she shares with a colleague. The space is small, so Franki explains how storage areas are carefully arranged and seating is creatively designed to make the most of limited space. Franki Sibberson explains the value of "Next-Read Stack" conferences for fostering independence, and includes a video example. Franki Sibberson shares some of her favorite new titles for young English language learners. Franki Sibberson selects some “cool” books for a struggling reader who wants to fit in with his 2nd grade peers. If You Like Junie B. Jones, You Might Like . . .
What young learner doesn’t love Junie B. Jones? Franki Sibberson shares great texts to recommend for readers who adore Junie and might be looking for similar characters and plots. Here are some newer books for teaching students about social responsibility and what it means to be a citizen of the world. Brad Smedley, an elementary principal, is looking for wordless picture books to share with his preschool classes. Franki Sibberson combines verse and nature in this booklist on taking poetry outdoors. In the second part of the literacy team meeting, teachers on the team move from the focus on sharing, to the important phase of where to go next as a team and as a school. Because the crucial work of the team is the work done between meetings, this is a critical discussion. Franki Sibberson shares some of her favorite picture book biographies in the latest installment of Book Matchmaker. 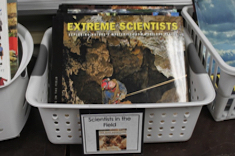 Teachers are adding more nonfiction to their classroom libraries, and looking for ways to promote nonfiction with students in light of the emphasis on nonfiction in the Common Core. 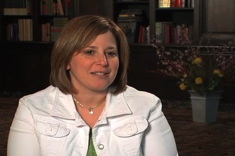 Franki Sibberson share tips for previewing nonfiction with students. 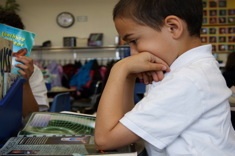 Students need strong mentor texts for understanding the concept of theme. 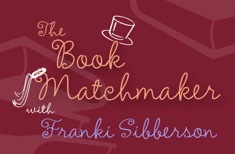 Franki Sibberson shares many of her favorites in this Book Matchmaker. Joan is a first-grade teacher who has one reader in mind – a student who is reading well above grade-level expectations. Franki Sibberson has many intriguing book suggestions to help her. 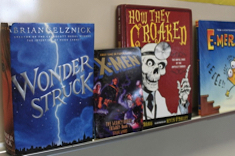 Franki Sibberson shares some of her favorite read-alouds for the intermediate grades. Franki Sibberson has graphic novel suggestions for 6th grade girls. Robin Heist is an elementary teacher looking for books for her older English language learners who are reading below grade-level expectations. Franki Sibberson highlights texts for teaching compare and contrast in nonfiction texts. Franki Sibberson designs a booklist for tackling information texts in first grade. 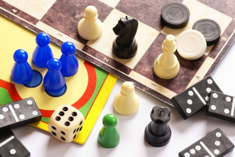 Franki Sibberson explains how low-tech board games can be a powerful tool for developing skills that will be in high demand in the coming years. If You Like Goosebumps . . .
Students still love the Goosebumps series, and teachers can build on that passion by introducing them to other texts with similar appeal. Franki Sibberson shares books at a variety of reading levels which tap into student fascination with things that go bump in the night. 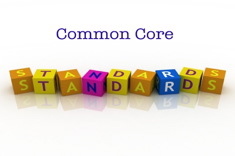 Franki Sibberson tackles the connections between text complexity and perspective in this Common Core booklist. Franki Sibberson taps into the fantasy craze among students with this booklist. Graphica readers often want to become graphica writers. Franki Sibberson weeds through the books and leaves us with the "good stuff" for mentor texts. Have you ever wondered why lessons you attempt to imitate from master teachers you’ve seen on videos often go poorly? Franki Sibberson asked herself this question after trying a minilesson she viewed from Debbie Miller. She discovered it’s what comes before the lesson that matters more than what’s in the lesson. Franki Sibberson presents two more minilessons from her cycle on teaching students how to respond to reading. 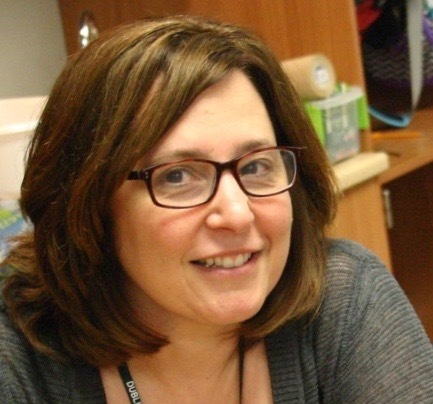 Intrigue, frustration, instruction at the point of need…Franki Sibberson cycles through many common learning stages as she builds Twitter into her daily routine. Reading Interviews are a staple in many literacy programs – a terrific tool for learning more about the history and habits of students. Franki Sibberson explains how she has updated her reading interview to include questions about digital resources and tools. Patrick Allen talks about the value of conferring, and what he does to build his conferring skills. 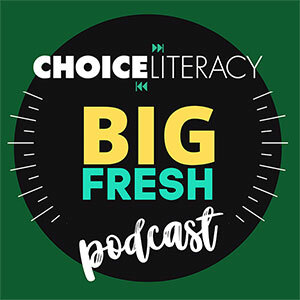 In this podcast, Franki Sibberson chats with Donalyn Miller about how she defines “engaged” reading, and the teacher’s role in motivating readers. 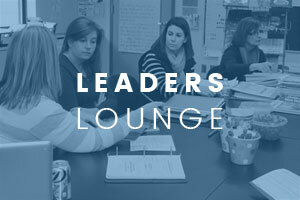 In this podcast, Clare Landrigan and Tammy Mulligan, the founders ofÂ Teachers for Teachers, talk with Franki Sibberson about how to link grade level team meetings with student achievement, and build stronger teaching communities at the same time. If you are beginning to involve yourself more in online networks, you might enjoy these suggestions from Mary Lee Hahn and Franki Sibberson. 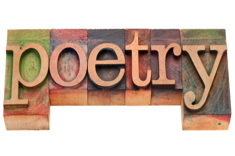 Are your students stuck on writing poems that rhyme? Franki Sibberson shares some of her favorite mentor texts for lifting the quality of student poems. Franki Sibberson shares some of her favorite new poetry collections in an annotated booklist. Teachers and school librarians would often love to collaborate more, but time is limited. After working for years as both a classroom teacher and school librarian, Franki Sibberson writes from experience as she shares practical suggestions for collaborating with school librarians. 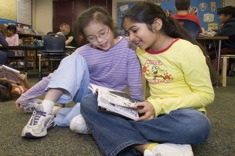 Finding high interest books for English language learners in the upper elementary grades can be a challenge. Franki Sibberson shares some of her favorites. 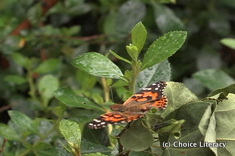 Earth Day in April is a great time to get outdoors with a good book! 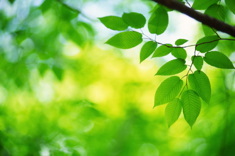 Franki Sibberson shares some of her favorite texts linked to Earth Day. Franki Sibberson provides a series of questions to help you focus on what students need in classroom and school libraries, as well as how those needs might be changing. 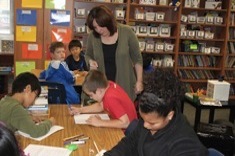 Franki Sibberson works with her 3rd and 4th graders to use comics in the literacy workshop. In this installment of the Book Matchmaker series with Franki Sibberson, Franki helps first-grade teacher Danielle think through what books might spark better writing in her young students who are mostly interested in toys and video games. In this quick take video, Franki Sibberson gives advice for dealing with "book hogs" — those students who try to grab any new book when it appears in the classroom library. 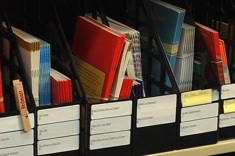 In this minilesson from Franki Sibberson’s grades 3 and 4 classroom, Franki takes students through the process of selecting and revising titles. 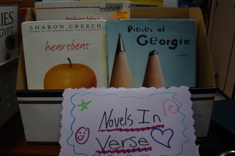 She uses the poem “Confessions of a Reader” by Carol Wilcox as a mentor text. 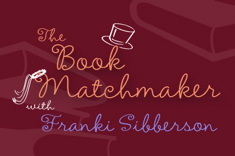 From humor to novels in verse, Franki Sibberson shares her top picks for intermediate readers in this Book Matchmaker. 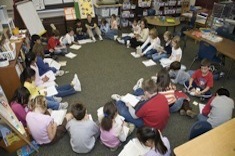 Franki Sibberson shares her top picks for literacy circles with a friendship theme. This is an excellent theme for building community any time of year. 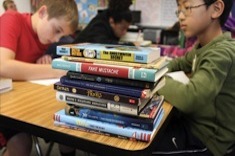 In this installment of Book Matchmaker, Franki Sibberson has suggestions for books to build reading stamina in students. In this installment of Book Matchmaker, Franki Sibberson discusses the challenges of finding a range of books to teach the concept of inferring to grades 3-5 students. In this installment of Book Matchmaker, Franki Sibberson provides a range of books for teaching character development in fiction for grades 3-5 students. In this installment of Book Matchmaker, Franki Sibberson provides a range of books for teaching point of view for grades 3-5 students. In this installment of Book Matchmaker, Franki Sibberson shares books and genres a struggling 5th grader might enjoy. In this installment of Book Matchmaker, Franki Sibberson tackles the tough question of how to find texts for students who need help with short vowels, but are too old to enjoy many primary texts. Here are some delightful picture books to teach how similes, metaphors, homophones and synonyms work. 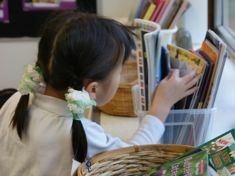 Picture books are a terrific tool for vocabulary instruction – students have so much fun reading them they are hardly aware of all the new words they are picking up. 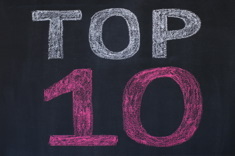 Franki Sibberson shares her top picks for spicing up vocabulary instruction in this booklist. Franki Sibberson reflects on her nonfiction writing unit, and realizes she emphasizes research skills at the expense of the craft of nonfiction writing. 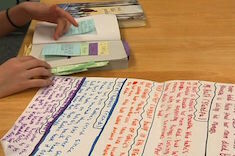 She explains how she revamps the unit to help students focus more on writer's craft in nonfiction texts, including some new mentor texts and different ways of using writer's notebooks. 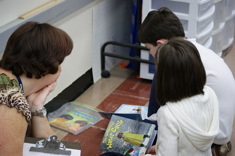 Many students in the upper elementary and middle school grades shun all picture books, yet they are an invaluable resource for teaching sophisticated literacy concepts. Franki Sibberson explains how to teach the concept of theme using picture books in this booklist. 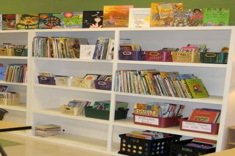 What Messages Do We Give Students with Our Classroom Library Design? 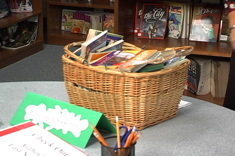 Franki Sibberson describes how the topics and arrangements of baskets in the classroom library give strong messages about reading to students. Franki Sibberson provides focus questions and a template to help choose books with students for independent reading. 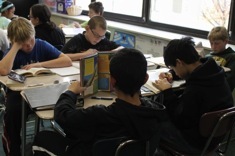 When does level matter in grouping students for reading instruction?Â Â Franki Sibberson shares her latest thinking and a template to use in organizing groups. 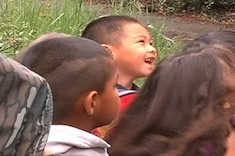 Spring is a time in many schools for volunteer work and community service projects. This booklist will inspire your students. 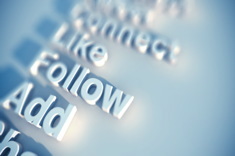 Addicted to Twitter: How Did It Happen? 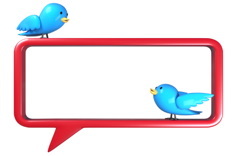 Franki Sibberson documents the stages of tweetage, from avoidance to addiction. As the quality of nonfiction for students has grown, so have our expectations for using these books with students. Franki Sibberson's presents texts that can help students move beyond "skimming and scanning," and into more in-depth reading. 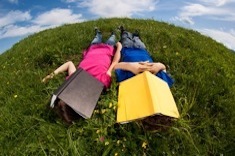 What big messages do we give to students with summer reading assignments? Franki Sibberson considers this question and shares the template she sends home with children of all ages. Franki Sibberson shares some of her favorite wordless picture books for teaching reading skills. Choosing words in writing is a key to effectively communicating ideas. 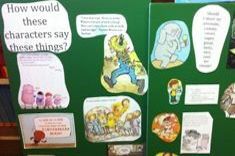 Franki Sibberson finds that the best way to introduce and extend conversations about words is through the use of picture books. Browsing and previewing skills change when the medium is the Internet. Franki Sibberson has advice for working with tech-savvy young readers. Nothing beats an engaging and fun text to spark conversations among young children. 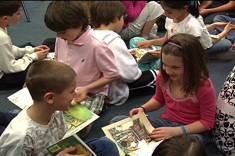 Here are some suggestions of terrific read-alouds to get the chatter started in classrooms. 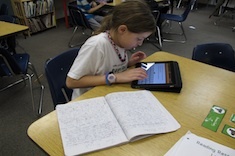 Franki Sibberson discovers new ways technology can expand and enrich how students preview books. 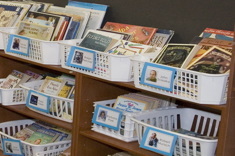 Teachers of young children often face the difficult choice of using leveled books that aren't necessarily engaging, or children's literature that isn't as easy to peg for readability. Franki Sibberson is on the hunt for wonderful children's literature that can easilysupplement or replace those lowest level "six-packs" of texts. Students need to understand perspective (or point of view) if they want to comprehend what motivates a character. In this booklist, Franki Sibberson highlights some terrific children's literature for helping students grasp the concept of perspective. 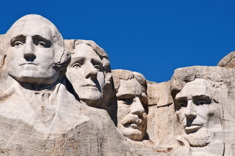 Here are some books to spice up your teaching in February on Presidents Day, or any time U.S. presidents come up in your curriculum. Here are some quirky biographies that will inspire and delight your students. A character study unit is a terrific choice early in the school year, since it taps into students' reading histories and favorites from years past. Franki Sibberson has suggestions of books and questions for use in read-alouds. Franki Sibberson reflects on her nonfiction writing unit, and realizes she emphasizes research skills at the expense of the craft of nonfiction writing. Franki Sibberson's article this winter linking her learning from fitness boot camp to working with struggling readers was one of our most popular features ever. 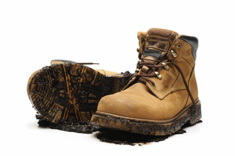 Here she provides a follow-up to share new lessons from bootcamp in a standards-based world. 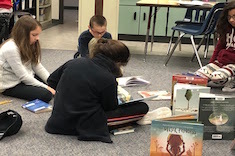 Franki Sibberson finds preparing students for summer reading is a little different this year, now that she has moved from classroom teaching to work in the school library. Here are some terrific books to get students excited about summer. if you're moving from thinking about read alouds for the first days of school, to plotting out a plan for read alouds all year long, you might want to read Franki Sibberson's booklist of read-alouds used for the entire year with her 3rd and 4th grade students. Franki Sibberson provides a booklist of "novels in verse" – a genre intermediate readers enjoy, especially those who struggle with longer texts. 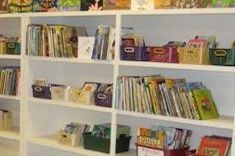 Franki Sibberson writes about her evolution in choosing books for transitional readers in grades 2-4. Franki includes a handy list of criteria for evaluating whether new short chapter books are appropriate for young readers. 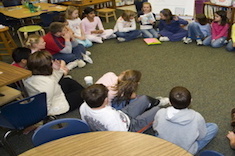 Franki Sibberson shares ways to initiate conversations about books naturally in classrooms. 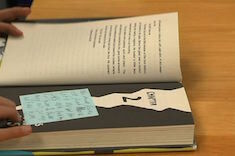 The feature includes a question set for launching discussions about books with individual students. Franki Sibberson has suggestions for sustaining the interest of kids who love silly and gross fun in this booklist. This booklist is on fairytales, and there are a range of reading levels and styles to support readers of different ability levels. This is a terrific article for a team considering struggling learners to read together and discuss. Franki Sibberson asks some critical questions, including how many transitions and different adults some children work with each day in the name of getting all the support they need. Franki Sibberson and Karen Szymusiak have suggestions for integrating observations and assessments of students naturally into reader's workshops during the first six weeks of school. Students look to us as model readers. Franki Sibberson explains how a quick explanation of your habits and preferences can be a wonderful start to year-long conversations. Franki Sibberson uses a knitting analogy to reflect upon alternatives to guided reading in the intermediate grades that promote more student independence. 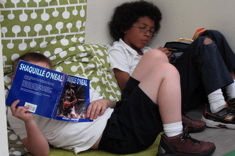 How Can School and Classroom Libraries Support Struggling Readers? 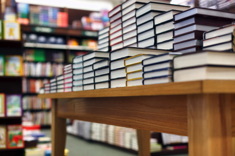 Franki Sibberson tries to imagine what school and classroom libraries look like to struggling readers who are gazing at scores of books beyond their reading levels. 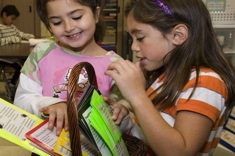 Franki Sibberson shares ideas for library browsing baskets, as well as ways to integrate minilessons into the school library routine. 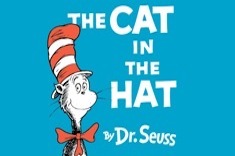 Recently there has been less interest in retelling of classic tales by children’s book authors. Franki Sibberson’s booklist highlights some of the best new twists on favorite children’s stories. Here’s a booklist of delightful titles that will build fluency skills for students — both as read alouds, and during independent reading. 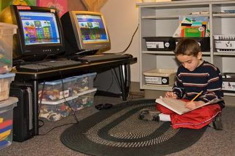 The “status of the class” form is a tool used by many teachers in reading and writing workshops to chart student plans daily. As Franki Sibberson tests out a status form in the school library, she discovers it has more value than she realized. 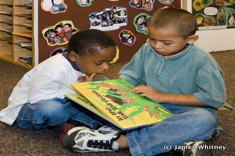 Franki Sibberson has suggestions for read-alouds that encourage kids to participate. 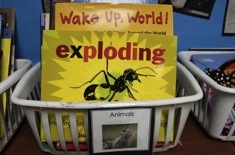 Franki Sibberson considers the issue of selecting nonfiction books for read-aloud time, and in doing so creates one of her popular booklists. Franki Sibberson finds the days before holiday break are the perfect time for talking through with students how to make pleasure reading choices. 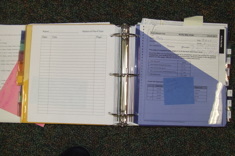 Her feature includes a template to help students organize and think through their preferences. Nothing hooks kids on books more than a favorite character. Franki Sibberson presents some series books with intriguing characters that will delight your students. 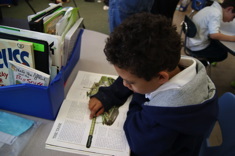 Franki Sibberson explains how she boosted the amount of nonfiction texts her grades 4 and 5 students were choosing for independent reading by focusing more on interest than on content connections. 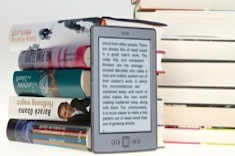 Literary nonfiction is emerging as a popular genre. In this booklist, Franki Sibberson shares mentor texts for writing literary nonfiction. Franki Sibberson explains how she rethought word study during the first six weeks of school, giving manypractical examples of activities and routines with her intermediate students. If Nancy Drew was an important literary role model for you when you were a preteen, you might enjoy a peek at the sassy new gals who are influencing our tweens. After lots of trial and error, Franki Sibberson finally has a format for her assessment notebook that works well. 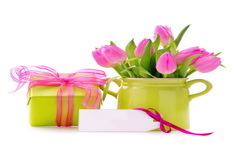 Franki Sibberson reflects on what makes a perfect salesperson . . .and literacy coach. Those "in-between" writers in grades 3 and 4 present special challenges to teachers. 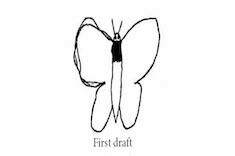 Some are fluent and versatile, writing page after page of drafts. Other students struggle to craft even a sentence. Franki Sibberson explains how short texts and brief genre units can help intermediate writers with a wide range of abilities. Franki Sibberson writes about the challenges of holding true to our beliefs in working with struggling readers, and shares the questions she asks herself as a way of self-monitoring her teaching with strugglers. Franki Sibberson shares poetry collections that can do double and triple duty across the curriculum, and are favorites of her grades 3-4 students. Franki Sibberson finishes 29th out of 30 participants in her fitness bootcamp mile run. In the process, she learns many lessons about herself and the needs of struggling learners in her classroom. Franki Sibberson finds many boys who are reluctant readers love the sports novels of Matt Christopher. So what is the logical next author or genre for these boys to keep them reading voraciously? 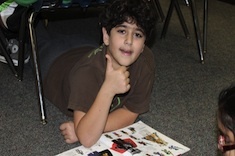 In this video from Franki Sibberson’s grades 3-4 classroom, boys share books that are similar to ones written by Matt Christopher. 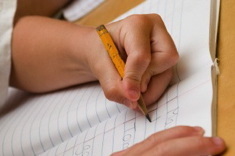 How can we help students who are stuck when it comes time to write? 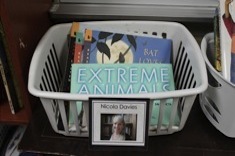 Franki Sibberson shares a couple new strategies, including a book basket of texts selected by students themselves as useful for sparking writing topics in this photo essay. Franki Sibberson contemplates which diet plan she’ll try this month, and that leads her to think about what a steady “diet” of leveled books does for young readers. 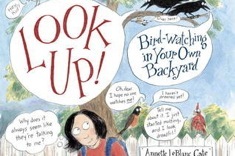 Where Have All the Picture Books Gone? Franki Sibberson shares ways to foster continued enjoyment of picture books with intermediate readers, and highlights some texts with special appeal for older readers in this article which includes a booklist. 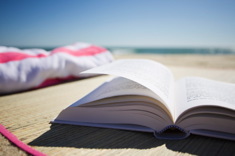 Franki Sibberson has some great suggestions for jumpstarting students’ summer reading. These ideas work if you are in the last week or two of school, or if you are just beginning a summer enrichment reading program with kids. Franki Sibberson helps her students learn how to evaluation and discover their own mentor texts in her grades 3 and 4 literacy workshops. 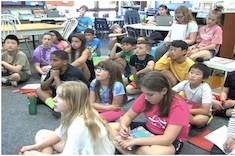 In this six-minute video, Franki Sibberson demonstrates how she helps her 3rd and 4th grade students make connections between writing workshop and math problem solving. 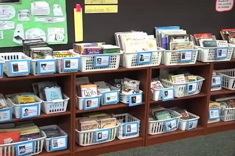 In this video filmed in the spring, Franki Sibberson helps her 3rd and 4th grade students think through what books they might select for independent reading. Franki Sibberson explains how "next-read" stack conferences work in her grades 3-4 classroom. Franki Sibberson teaches her students about book choice in this video from her grades 3-4 classroom. Franki Sibberson finds sports writing is a powerful motivator for boys in her grades 3-4 classroom. Franki Sibberson prepares her grades 3-4 students for state examinations by helping them observe attributes and patterns in test questions. 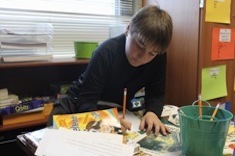 Word study and nonfiction reading are combined in Franki Sibberson's nonfiction word hunt activity. Franki Sibberson explains the value of the nonfiction word hunt activity. Franki Sibberson teaches a minilesson on fonts as a revision strategy for her grades 3 and 4 students. In this follow-up to a whole class lesson and discussion of fonts, Franki Sibberson pulls together a group of 3rd and 4th graders from her class who have asked to be a part of a small group on fonts. 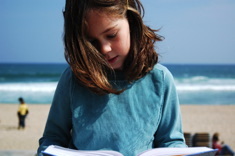 Franki Sibberson learns from her daughter about emerging readers and book choice. From old favorites like highlighters to new resources like kangaroo bags, this whole-class session with Franki Sibberson's grades 3-4 students highlights cool tools that will inspire learners to dive in and test out different revision strategies in writer's workshop. Franki Sibberson brings fun into word work through the use of picture books with her 5th graders. In leadership positions, the first conversations with students about who you are and what you believe can set the tone for the year. Franki Sibberson has helpful advice for talking with readers — big and small. Finding the right series for a transitional reader is a gift. Franki Sibberson shares her favorite finds. What do doughnuts and talk-filled mornings have in common? 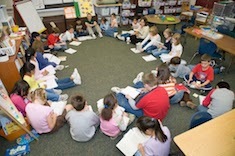 Learn about this Poetry Friday ritual that impacts independent reading time as well. 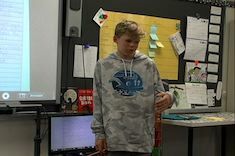 In this video of a discussion after writing workshop in Franki Sibberson’s classroom, intermediate students share the tools they used in revision. Franki Sibberson describes how she organizing writing groups in her grades 3 and 4 classroom, and shares a video of a writing group considering leads. 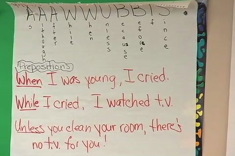 Franki Sibberson explains how she extends the wall space in her classroom for instruction through the use of foam boards. Franki Sibberson explains how “reflection sheets” work as an assessment tool in her classroom, replacing detailed notes from conferences. Don't let the pressure of standards and testing take away from the joys of writing workshop. Franki Sibberson explains how assessment helps her infuse energy and excitement into her writing program. Interviews early in the year are a potent tool for building a class community. 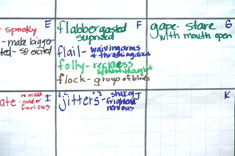 Franki Sibberson works to expand her views of spelling and word work, redefining routines in her grades 3 and 4 classroom. Franki Sibberson wants her students to be more than just good spellers — she wants them to understand words in sophisticated ways, from many different angles. Children's books are a tool for reaching that goal. Franki Sibberson shares her latest suggestions for read alouds that invite participation from young readers. In this installment of Book Matchmaker, Franki Sibberson shares her favorite books for 3rd graders who are not at grade level, but don’t want to read texts that will embarrass them in front of their peers. An elementary literacy team discusses word learning in the context of student assessment results as part of a yearlong inquiry into word study.